Markit's US Services PMI printed 54.2, down from 54.4 - the lowest since September - weighed down by the joint-weakest rise in new business since Oct 2017, the rate of new order growth matches December's recent lows, and activity expansion is the softest in four months. 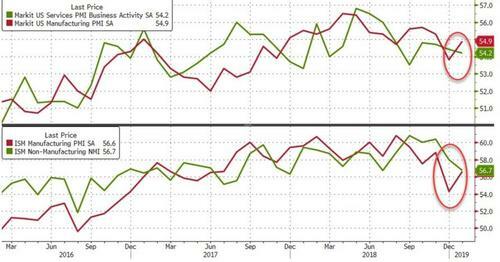 So manufacturing upticked in January and services slumped according to both surveys. 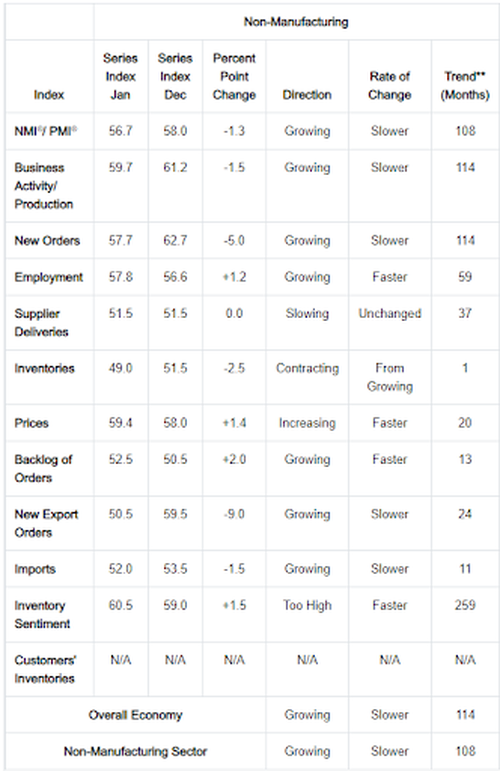 The index of non-manufacturing business activity declined to 59.7from 61.2 the prior month, and the gauge of new orders fell to 57.7from 62.7, the steepest drop since August 2016. 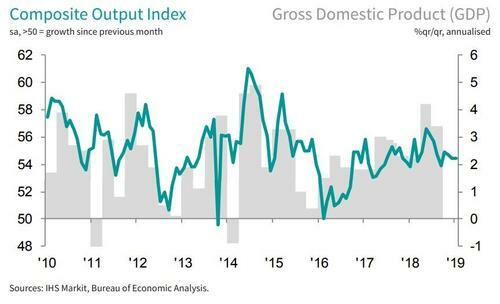 “The robust economic growth signalled by the US PMI surveys at the start of the year sits in stark contrast to the near-stalling of growth seen in Europe, China and Japan. At current levels, the surveys are consistent with annualised GDP growth of around 2.5% at the start of the year. 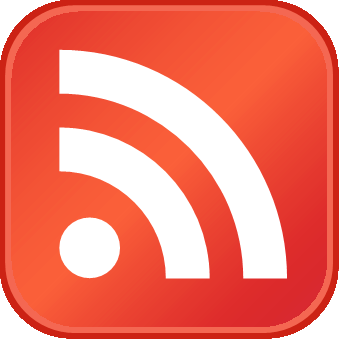 “Jobs growth remained buoyant as business optimism perked up to its highest since October. Backlogs of work are meanwhile building up, in part because firms struggled to meet demand, which has in turn allowed sellers to continue to push prices higher. “However, although still robust, the rates of economic growth, job creation and inflation signalled by the PMI surveys have cooled since peaks seen last year. 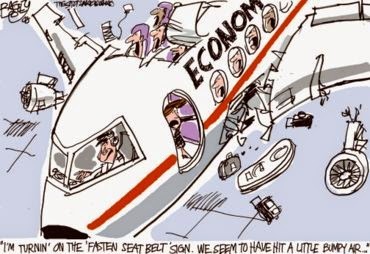 This possibly reflects some impact from the government shutdown, though scant evidence of such was seen in the anecdotal evidence from the surveys, but also reflects an easing of demand growth, notably from abroad. 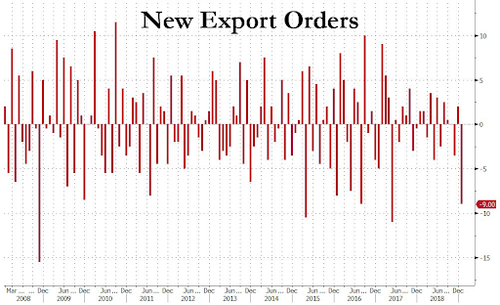 Foreign sales of goods and services barely rose in January, contrasting with signs of faster growth of domestic orders. "